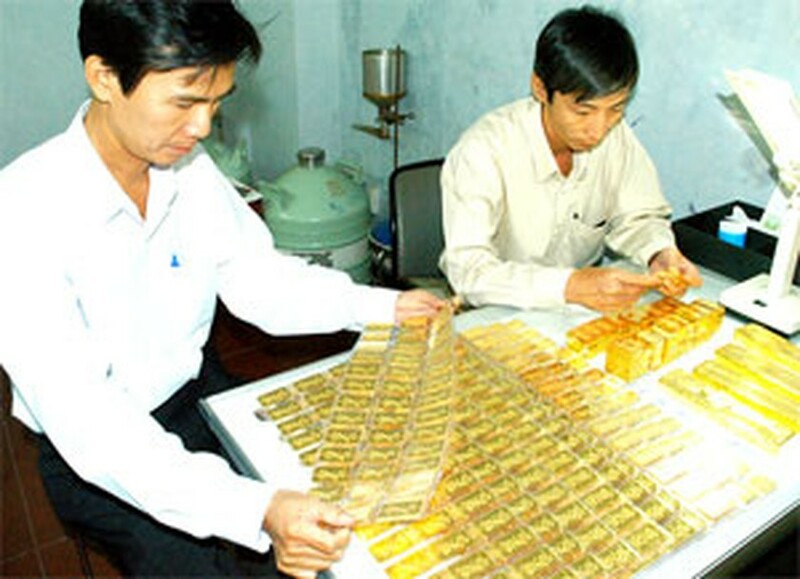 Gold prices are expected to soar later this year, reaching VND20 million per tael (37.5 grams) in the second and third quarter from around VND18.6 million now. The forecast comes on the back of a prediction by major global traders that prices will climb to US$1,200 per ounce from around US$947 per ounce now while the US dollar will continue to weaken. The traders’ prognostication is based on an expected 0.5 percent rate cut by the US Federal Reserve at the end of April which will keep the dollar weak. With the US economy teetering towards a recession, gold, a traditional safe haven in times of uncertainty, is expected to rise. The dong is expected to strengthen to VND15,200 against the greenback later this year from around 16,000 now. Saigon Jewelry Company gold closed at VND18.63 million per tael in HCMC yesterday, a gain of VND230,000 during the day. The company sold over 13,000 taels and bought only 2,000. Meanwhile, the stock market was a sea of green yesterday as 150 out of 153 stocks gained and only one lost on a day when the new daily trading band took effect. With effect from yesterday, stocks can only move in a band of 1 percent from the previous day’s closing price on the Ho Chi Minh City market and 2 percent in Ha Noi, against the previous 5 and 10 percent. The VN-Index gained four points to close at 508, with buy orders for 28 million shares remaining unmatched at close. During the day there were buy orders for 34.6 million shares and sell orders for just 6.1 million. Around 7.4 million shares worth VND453 billion changed hands.